Coimbatore is the city of the southern Indian State Tamil Nadu. This is the second largest city of the state. This Metropolis is also popularly known as Koval. Thousands of tourists visit this place every year. The city has an array of lavish hotels for the convenience of the travellers. 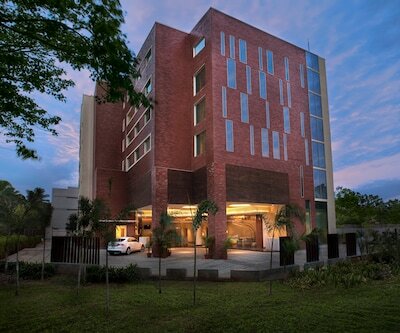 Vivanta by Taj is one of the best 5 Star hotels in Coimbatore. The property is situated at the race course Road. The property is has elegantly designed rooms that are classified at Superior Room, Deluxe Room, Premium Indulgence, Deluxe Allure Suite and Presidential Nirvana Suite. The property is located 10 km from Coimbatore International Airport, 2 km from Railway Station and 5 minutes’ drive from JLN Stadium. Guests in the Hotel are offered with the swimming pool where they can rejuvenate by taking some dips into it. Guests in the hotel can cajole in –‘Latitude’ which is a 24 hour dining restaurant that offers you lip smacking cuisine from around the globe. You can relish you evening at –‘Red Pearl’ bar which is well stocked with choicest of wines. Patrons can also avail other facilities like Wi-Fi for well-connected with their near and dear ones. Tourist spots such as Perur Pateeswar Temple is merely 8 km away from the prop. 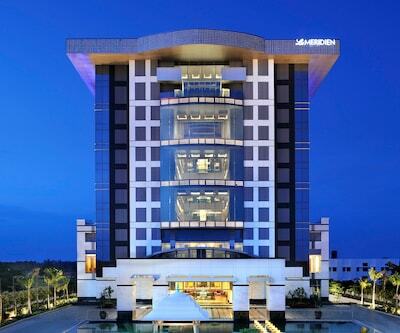 le meridien coimbatore is also listed among 5 star Coimbatore hotels. The hotel is situated at Neelambur, Avinashi Road. The property houses utterly luxurious 254 rooms. Each room is individually designed and filled with all modern amenities. The in-room amenities includes, LCD TV 42 inch, DVD player, tea and coffee maker, electronic safe and many more. The attached bathrooms in the rooms are well fitted with all contemporary amenities and essential toiletries. Each bathroom is having 24 hours hot and cold water facility. The hotel also offers 14 spacious multi-purpose halls for various small and large party occasion and business gatherings. Guests can relax at fitness centre and spa and can recreate at them. For relishing evening, you can enter in Latitude a well-stocked bar. Airport is 7 km from the hotel. Singanallur Lake, Kari Motor Speedway and Maharaja Water Theme Park are located near the hotel. Can you suggest me a 5 star hotel in Coimbatoe my budget for this trip is Rs. 10000-12000 per night? 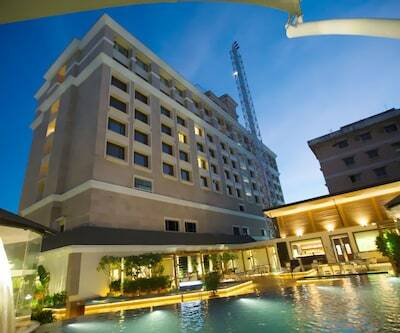 Vivanta by Taj - Surya, Radisson Blu Hotel Coimbatore and Le M�ridien Coimbatore are the best for this trip in your budget. I am visiting Coimbatore for three days, can you suggest me a 5 star hotel, which provides a decent view of the city? 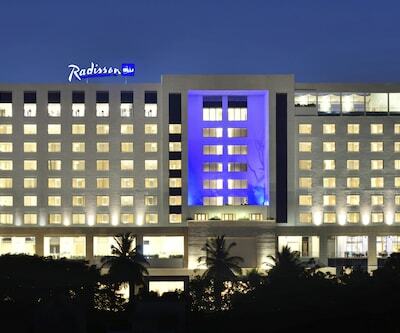 Le M�ridien Coimbatore is the best 5 star hotels on reasonable price provide a decent view of city. Can you please suggest me a luxury hotel in coimbatore with a good SPA facility and a rooftop restaurant or temple view? Vivanta by Taj - Surya and Le M�ridien Coimbatore are luxury hotels in coimbator with best spa facility but both of hotels dont have rooftop retaurant or temple view.